Remember way back in 2014 when J.D. Martinez overhauled his swing and became one of the best hitters in baseball? Of course you do. 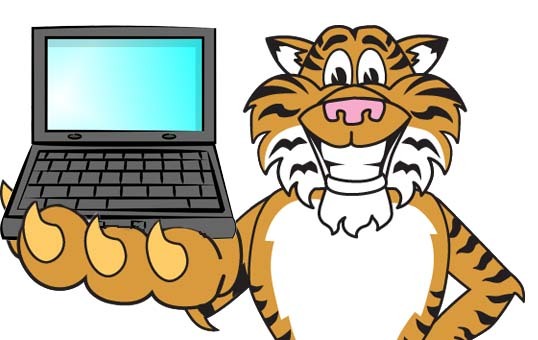 You’re reading a Tigers website. He came up with a lot of raw power but couldn’t get his skills to translate on the field and wound up getting cut by the Astros in the spring of 2014. He had been working to change his swing and the Tigers gave him a shot. He raked in Toledo, got called up to Detroit, and went on a tear for the last division-winning team of the Dombrowski era. We all liked Martinez, but most of us were also concerned about the other shoe. After all, these late career breakouts are rare and all we had was a .389 BABIP over 480 PA. In other words, we held our breath for 2015, hoping that our favorite team had actually struck gold rather than stumbling into pyrite. Last year, Martinez reassured us all with another terrific season. He delivered a 137 wRC+ and 5.0 fWAR. Martinez was for real. And then came the first month of 2016. 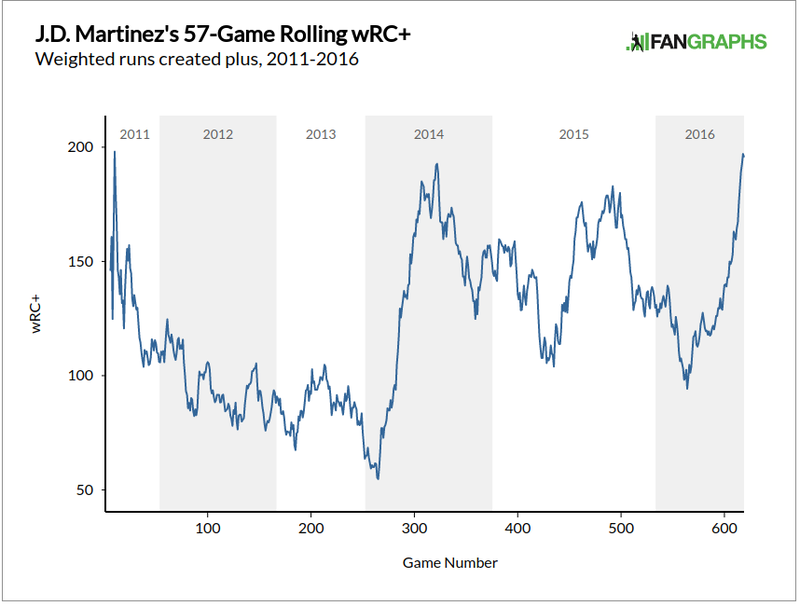 Martinez had just eight extra base hits in his first 128 plate appearances and was running a 78 wRC+ for the season. 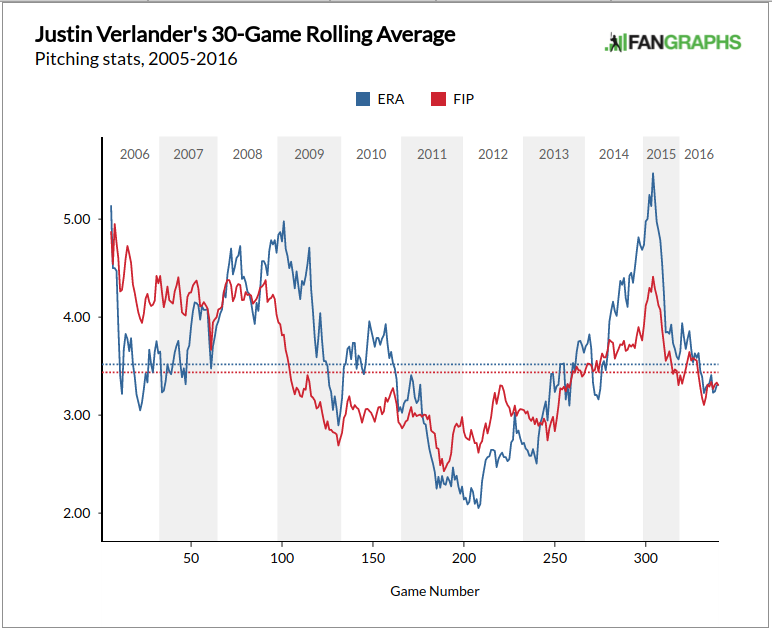 We were past the point of calling him a fluke for his previous two seasons, but given the struggles of some other Tigers, the concern that the league was finally figuring out Martinez did start to creep up. One big difference during his hot streak compared to before is that he’s swinging the bat a lot more often (roughly 55% compared to 48%). You can see that his recent swing rate is more in line with his successful period. Granted, I was certainly one of the people who was concerned about his swing rate when he first got going back into 2014. Typically, hitters who strike out like he does without taking their walks are limited even when they have significant power. 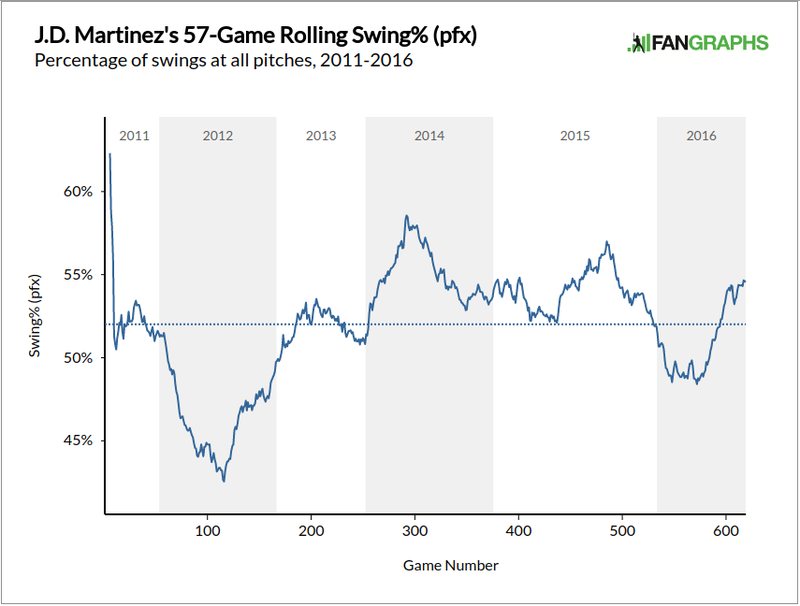 Martinez has been able to increase his walk rate during the last two years and maintain it even now that he’s swinging more. Every hitter has their own equilibrium. If Martinez hits better when he’s being more aggressive, he should continue to be aggressive. You don’t take pitches just to take pitches, you take pitches that you can’t do damage against. Right now, he’s making good choices and delivering results. Now, if your eyes are drawn to the WAR column at Baseball-Reference or FanGraphs, you’ll notice he’s not quite keeping pace with his previous levels because both defensive ratings think he’s been much worse this year. From watching, I would tend to agree that he looks much worse this year compared to 2015, although we could probably quibble about the exact magnitude. With Justin Upton, Miguel Cabrera, Victor Martinez, and J.D. all hitting, the Tigers lineup becomes as frightening as any in baseball. I don’t think anyone was on the ledge about J.D. after the first month of the season, but the Tigers were counting on him to be a premier hitter coming into the season and their margin for error was quite small in the playoff race. He got off to a slow start, but he’s made up for lost time, even if he hasn’t yet made up for the actual time he lost with a broken elbow. Perhaps the last five games are Justin Upton’s signal that he’s ready to do the same. I’m going to dispense with the clever introduction because this isn’t going to take a lot of convincing: The Tigers are not a good base running team. There are a lot of different components to base running and a few different ways to measure it, so let’s just do a quick summary. Using FanGraphs’ Base Running Runs, the 2016 Tigers are 27th in the league. Using Baseball-Reference’s model, they are 25th. Using Baseball Prospectus’ method, they rank 29th. I know that many of my sabermetrically inclined colleagues like to argue about which site is better as valuing players, but this is a relatively unanimous verdict. The current team is not doing well. But it’s not just the current team. The 2015 Tigers were the worst base running team in the league, according to FanGraphs and Baseball-Reference. Baseball Prospectus liked them a bit more and ranked them 29th. In 2014, the ranks were 26th, 23rd, and 11th (!). In other words, the Ausmus era Tigers have performed poorly on the bases. But again, you knew that. Baseball Prospectus has a table that shows the club’s success at advancing in situations like ground balls, air balls, on hits, and on outs and the 2016 Tigers are bad in each category. This is not an inherently troubling thing. After all, VMart and Cabrera aren’t speed demons and you wouldn’t expect that they’d take a lot of extra bases. There’s a difference between slow and stupid, and that’s the question I want to explore. If you look at the Tigers roster this year, you have a handful of capable runners such as Kinsler, Iglesias, Maybin, and Upton. Castellanos, McCann, Cabrera, and Martinez (2) are much less so. If this is simply a matter of the slow players failing to advance, you can put the “blame” on the front office for choosing to assemble a team that doesn’t run very well. If they are performing worse than their speed suggests, however, that’s an execution problem that needs to be addressed at field level. So we know that the Tigers are not a good base running team, but what kind of a bad running team are they? From a stolen base perspective, they’re just fine, posting a 72% success rate in 68 tries. That’s just about league average and their stolen base runs at FanGraphs support that, with them sitting at -0.4 runs (zero is average). So when it comes to taking off on the pitch, we don’t see any problems. Additionally, they’ve been picked off or picked off and then caught stealing 17 times, which is below average but not significantly so. If you look at their outs on the bases, they’re in the middle of the pack for outs at first and second, have the 8th most outs at third, and are tied for the 7th most outs at the plate. That’s not a terribly encouraging set of results, but they’re in the top ten in terms of OBP, so they do have more total base runners available to make outs. In other words, the Tigers are worse than average at making outs on the bases, but they’re below average rather than terrible. 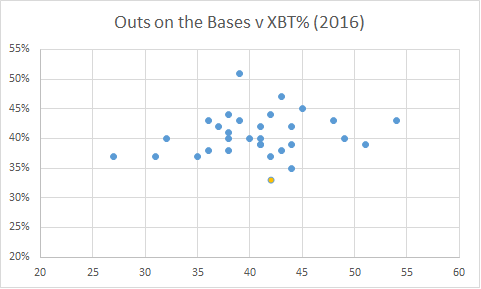 As you can see, the Tigers are the worst in the league in terms of XBT% but right in the middle in terms of outs made on the bases. It’s one thing to be the Mets, who are the far left dot at 37% and 27 OOB. A team that doesn’t make outs and doesn’t advance is a team that knows its limits. You don’t want to be in the lower right quadrant, like the Tigers and Pirates (35%, 44 OOB). This is a rough sketch of the situation, but it does the trick. It’s not that the Tigers are particularly reckless, it’s that they are much more reckless than they can afford to be given that they are terrible at advancing. The value of taking the extra base is roughly half as valuable (+0.2 runs) as getting thrown out is costly (-0.4 runs), give or take depending on the base and situation. If you’re taking a lot of extra bases, getting thrown out isn’t such a big deal once in a while, but if you’re either stopping or getting thrown out, you’ve got a problem. So this is partially on the front office for assembling slow players. But slow players typically have other good qualities, like being able to hit the ball into the shrubs. The problem the Tigers are facing is that their players are making too many outs on the bases given their number of successes. That’s a coaching problem. Ausmus has generally advocated aggressive base running during his tenure, meaning that he’s either actively contributing to this bad mindset or he’s just doing nothing to stop his players who clearly aren’t able to successfully advance on the bases. Either one isn’t good and it’s something that has to stop. The Tigers have a very narrow path to a playoff berth and they need to save every run they possibly can. Hitting, fielding, and pitching are hard, but base running is a place where your opponent can’t force you to make a mistake. The Tigers need to be more conservative on the bases given their current personnel, and it’s Ausmus’ responsibility to make sure that happens. Given the Tigers recent run of success, the playoffs are very much on the table. But for that happy reason, we’re forced to confront something quite challenging: Michael Fulmer’s workload. If the Tigers were bad, the decision would be easy and the club would use Fulmer until he was out of gas and then shut him down for the year. The issue the Tigers face is that club would generally prefer to save some of his innings/pitches for extremely high importance games in October if at all possible. It’s the execution of that which gets tricky. We have to start with the caveat that we don’t know (neither do the Tigers) how usage impacts injury probability. There’s no magic number or formula that can give us an answer regarding the total workload he can endure safely. He’s thrown 119.1 innings so far and his career max is 124.2. We can probably assume 160 is where the Tigers would go if there were no playoff implications. I think it’s also probably safe to say they won’t let him go past 180 regardless. Are either of those numbers the right numbers? We have no idea. Maybe he can handle 240, but this is plan for using his innings not challenging the nature of the limit. If we’re looking at 170 innings that means we have 45 more, give or take. If the Tigers stay 100% on turn, there are 11 Fulmer start days left. There are, however, five off days. Pitching at 6 IP per start, that gives us about 8 starts if used normally. We also have to account for the wild card game, and potentially three postseason series. Ideally, we want 15-16 starts from Fulmer. If we want to use him like a normal starter we have to find a place the Tigers can cut out 7-8 starts. Let’s talk options. The most straightforward option is to simply keep Fulmer on turn and pitch him until you don’t want to add any more to his workload. This is easy to manage and makes sense if you don’t think there is a way to get him to the playoff rotation anyway. A win in August is the same as one in September and there’s no reason to mess with Fulmer’s rhythm if you can’t squeeze postseason innings out. Give him 8 more starts and then shut him down when you need to. The reason this decision is so tough is because you don’t know how much Fulmer you actually need. If the other starters are going to be amazing (or terrible) that influences things. If you need all eight Fulmer starts to get to the postseason, you should make sure you get eight Fulmer starts. If you only need five, you want to use five. But also, if you know that you won’t make it even if you max him out, you also don’t want to over-work him. It’s tough! Option 2 accounts for this and recognizes the Tigers can’t possibly get 11 more starts from Fulmer without sending him north of 180. But they also don’t know if they need four or seven. For this reason, the Tigers should skip Fulmer a couple times as soon as possible. If you skip him now, you have the option to unleash him over the last several starts of the season OR you can skip him again in late September if you don’t need him then to keep him in the October conversation. If the Tigers feel confident in their ability to make it to the postseason, then it makes sense for them to want Fulmer available in the big moments. This plan requires you to save ~20 innings for October, meaning you have 25 more the rest of the way. Spread out five, 5 IP starts and call it good. If Fulmer has about 45 innings left, it might just make sense to move him to late relief. Instead of asking for eight more starts, ask him for 15-20 appearances over the final 55ish games. Let him get used to two innings appearances and deploy him to back up someone like Boyd, Sanchez, or Norris. You aren’t going to get the same value, but the ability to put him into leverage moments might make up some of those lost innings in the rotation. That will save you relief innings for October and give you four awesome relievers to back up your starters. Instead of thinking of Fulmer as a full starter or full reliever, another option the Tigers have is to keep him relatively on turn, but back off his workload in each start. If you use an off day here and there and wind up using him for nine starts down the stretch, you can let him go something like 3-3-3-4-4-4-5-5-6. That’s 37 innings, giving you at least one full playoff start if you need it or three relief appearances. That approach also allows you to leave him in a little longer or pull him sooner if the game allows, so if it’s 8-0 you can take him out and save the arm. Given that we don’t know exactly where to stop him or exactly how much the Tigers will need him, I think a hybrid of Option 2 and Option 5. You know that Fulmer can’t give you 11 more full starters, so you have to skip him at some point during the regular season no matter what. The club should skip him around the next off day and pull him early over the next couple starts. It’s great that he can give you 7-8 innings, but four is enough the next couple times through. If it looks like they’re going to be a tight race from that point on, you take the gloves back off and just pitch him until he’s done. If the Tigers look like they’re going to make the postseason either way, then you can skip another start and pull him early a few more times to bank some innings. We obviously can’t say where the safe limit is, but if we assume the Tigers have some workload cap in mind, they need to start massaging the schedule now so that they have options later on. Turning him into a reliever might throw him off his game, so you want to save that until the last possible moment. Buy yourself time now and then adapt later.